Dr Taylor has written and co-authored numerous journal papers and book chapters. She also has extensive experience in writing and editing reports for research organisations, government agencies, consultants, academia and industry. Dr Taylor is an experienced freelance writer. Taylor, J 2015, Backtracks: recollections of remarkable Australians, Billycan Press, Camberwell, Vic. Taylor, J 2015, Let sanity prevail: the history of Timber Towns Victoria, Billycan Press, Camberwell, Vic. Taylor, J 2010, 'Joely Taylor 1993 onwards', in B Fry, R Hateley, R Youl & VSF Centenary Committee (eds), Circumspice: one hundred years of forestry education centred on Creswick, Victoria, VSF Centenary Committee, South Melbourne, Vic. O'Connell, D, May, B, Farine, D, Raison, J, Herr, A, O'Connor, M, Campbell, P, Taylor, J, Dunlop, M, Poole, M & Crawford, D 2009, 'Chapter 10: substitution of fossil fuels with bioenergy from renewable biomass resources', in S Eady, M Grundy, M Battaglia & B Keating (eds), An analysis of greenhouse gas mitigation and carbon biosequestration opportunities from rural land use, CSIRO, St Lucia, Qld. Kriticos, D, Murphy, H, Jovanovic, T, Taylor, J, Herr, A, Raison, J & O'Connell, D 2013, 'Balancing bioenergy and biosecurity policies: estimating current and future climate suitability patterns for a bioenergy crop', Global Change Biology: Bioenergy, vol. 6, no. 5, pp. 587–598. Farine, DR, O'Connell, DA, Raison, RJ, May, BM, O'Connor, MH, Crawford, D, Herr, A, Taylor, JA, Jovanovic, T, Campbell, PK, Dunlop, MIA, Rodriguez, LC, Poole, ML, Braid, AL & Kriticos, D 2012, 'An assessment of biomass for bioelectricity and biofuel, and for greenhouse gas emission reduction in Australia', Global Change Biology: Bioenergy, vol. 4, no. 2, pp. 148–175. Taylor, JA, Herr, A & Siggins, AW 2009, 'The influence of distance from landfill and population density on degree of wood residue recycling in Australia', Biomass and Bioenergy, vol. 33, no. 10, pp. 1474–1480. CSIRO 2011, Flight path to sustainable aviation: towards establishing a sustainable aviation fuels industry in Australia and New Zealand, CSIRO, Newcastle, NSW. 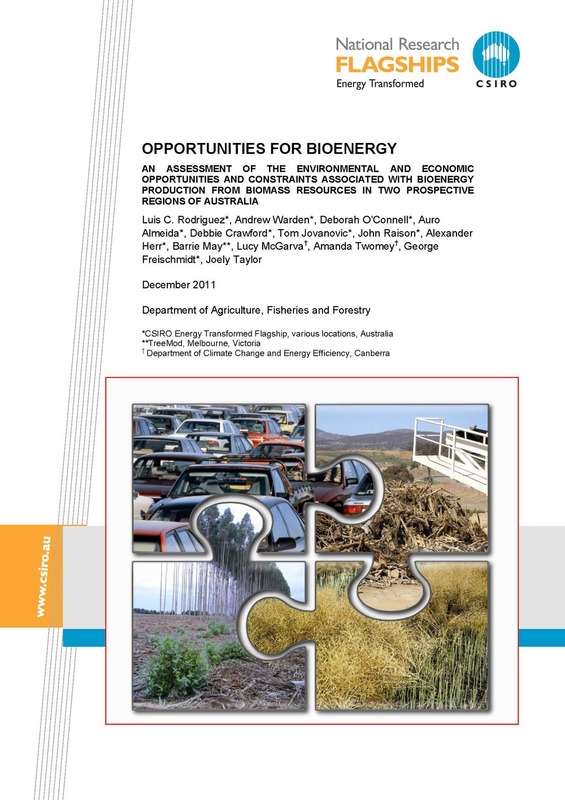 Rodriguez, L, Warden, A, O'Connell, D, Almeida, A, Crawford, D, Jovanovic, T, Raison, J, Herr, A, May, B, Garva, L, Twomey, A, Freischmidt, G & Taylor, J 2011, Opportunities for bioenergy: an assessment of the environmental and economic opportunities and constraints associated with bioenergy production from biomass resources in two prospective regions in Australia, CSIRO, Canberra, ACT. 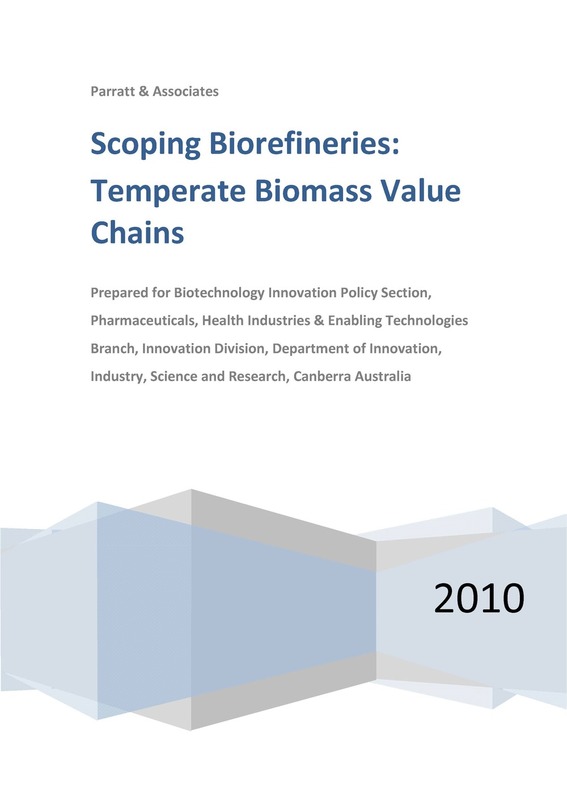 Parratt & Associates 2011, Scoping biorefineries: temperate biomass value chains, report to the Department of Innovation, Industry, Science & Research, Canberra, ACT. Taylor, J, Braid, A, Prestwidge, D, Herr, A, Crawford, D, Jovanovic, T, Quayle, W, Raison, J, O'Connell, D & O'Connor, MH 2011, Regional estimates of Victorian biomass resources, CSIRO, Clayton South, Vic. Graham, PW, Reedman, LJ, Rodriguez, L, Raison, J, Braid, A, Haritos, V, Adams, P, Brinsmead, TS, Hayward, JA, Taylor, J & O'Connell, D 2011, Sustainable aviation fuels road map: data assumptions and modelling, CSIRO, Newcastle, NSW. Taylor, J & Warnken, M 2009, Wood recovery and recycling: a source book for Australia, Forest and Wood Products Australia, Melbourne, Vic., Project No. PNA017.0708. Taylor, J, Mann, R, Warnken, M, Reilly, M, Pincic, D & Death, D 2005, Recycling and end-of-life disposal of timber products, Forest and Wood Products Research and Development Corporation, Melbourne, Vic., Project No. PN05.1017. Taylor, J & Van Langenberg, K 2003, Review of the environmental impact of wood compared with alternative products used in the production of furniture, Forest and Wood Products Research and Development Corporation, Melbourne, Vic., Project No. PN03.2103. Taylor, J, Warden, P, Northway, R, Ilic, J & Van Langenberg, K 2003, Evaluation of remedial treatments for surface checks in appearance timber, Forest and Wood Products Research and Development Corporation, Melbourne, Vic., Project No. PN01.1303. Snow, J 1996, The potential for biological control of staining fungi during log storage, Gottstein Fellowship, Gottstein Memorial Trust Fund, Melbourne, Vic. 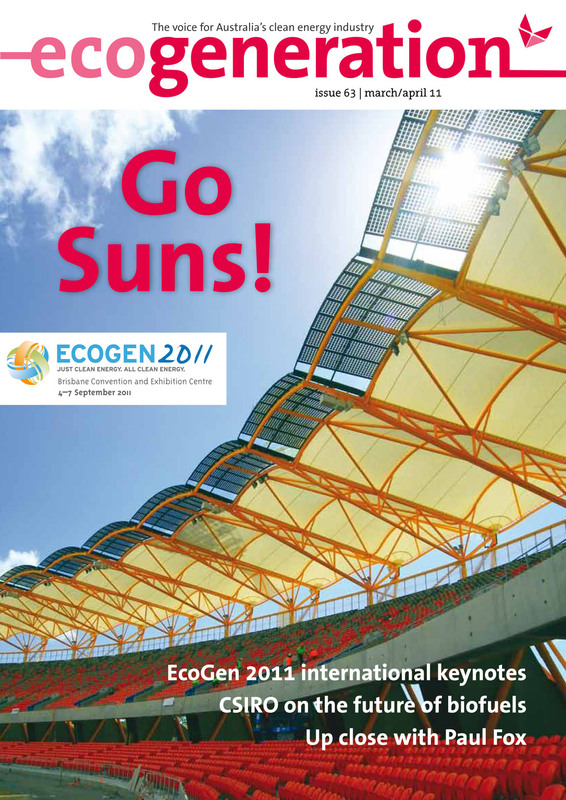 Taylor, J 2011, 'Growing a green fuel industry in Australia', ECOS, CSIRO Publishing, Issue 160. 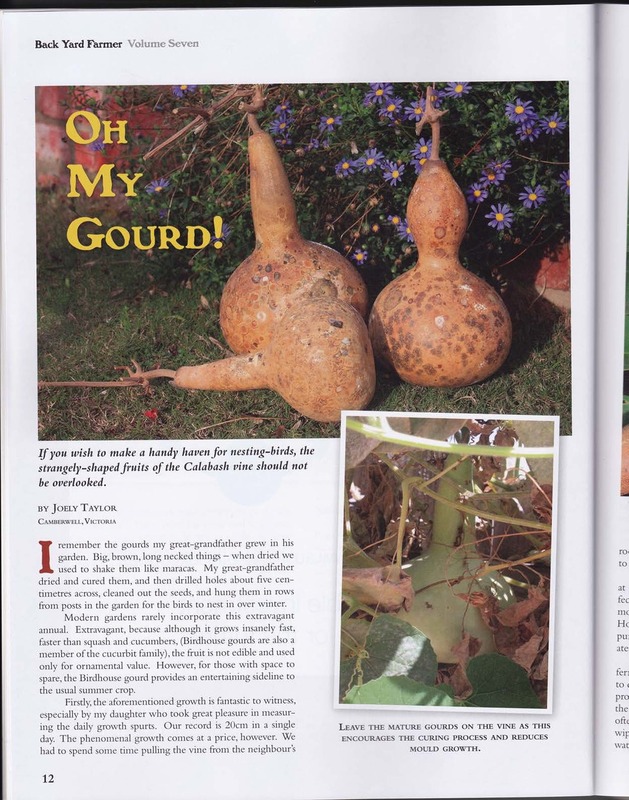 Taylor, J 2011, 'Oh my gourd! ', Back Yard Farmer, Earth Garden Press, March 2011, pp. 12–13. Taylor, J 2011, 'Accounting for the environment while counting biofuel feedstocks', EcoGeneration, Great Southern Press Pty Ltd, March/April 2011, pp. 60, 62, 64. Taylor, J 2007, 'Palatable pallets', WME Environment Business Magazine, vol. 18, no. 1, p. 25. Taylor, J 2013, 'News from Corporate Carbon' (website), Corporate Carbon, Glebe, NSW. Taylor, J 2012, 'News from Corporate Carbon' (website), Corporate Carbon, Glebe, NSW. Taylor, J 2011, 'Sapstain and its prevention', Victorian Association of Forest Industries. Taylor, J 2011, 'Sapstain in eucalypt timbers', Victorian Association of Forest Industries.